GRINS has an all-volunteer board of community members who care deeply about the health and safety of our communities. Our members have backgrounds in injury prevention, seniors’ safety, addictions counselling, health promotion, community psychology and small business. We have adopted the motto “In my backyard”. 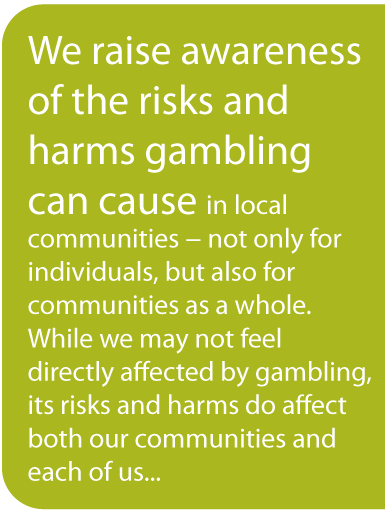 We want local citizens to have a say in the direction gambling will take in our communities. We want local government to take ownership of the problem of gambling in our province. By doing so, people will have control over what is happening close to home, affecting the well-being of their own community.